Topp Stop, located in Toppenish in Eastern Washington, has been in business since 2003 after owner Faron Young purchased the location, taking over a previous AMPM location. When the store first opened they sold mostly lottery tickets and beer, but over the years this has evolved, and has changed their sales to be mostly focused on tobacco and their deli. Topp Stop has been a Harbor customer since 2017. Per the Store Manager, Val, the transition to Harbor was easy, and at a competitive price with great service, resulting in more retail profitability. When first signing on with Harbor, Topp Stop chose to take part in the Harbor Store Solutions program and have their store reset. During the store reset, a product matchup took place, ensuring that Topp Stop was set with the best products and in the right locations. Val said that the store reset helped their store flow better, helping their customers find items easily, resulting in increased sales. Since teaming up with Harbor, Topp Stop has seen a 4% increase in floor sales. Harbor has also helped them to grow their deli program by 9%. Topp Stopp has dramatically increased their deli offerings, by adding BirdShack Chicken and Tyson/Windsor Asian food programs. Harbor has been able to successfully help Topp Stop implement new, innovative ideas in their deli to grow their business. 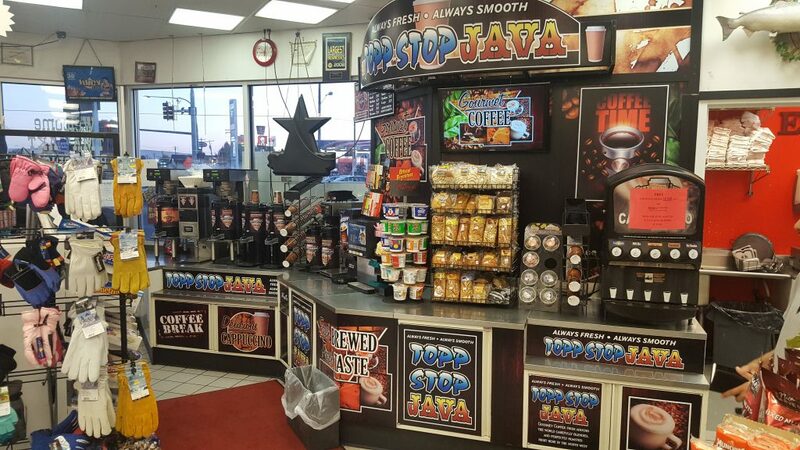 In December 2017, Topp Stop decided to replace their coffee program with Java Classics. 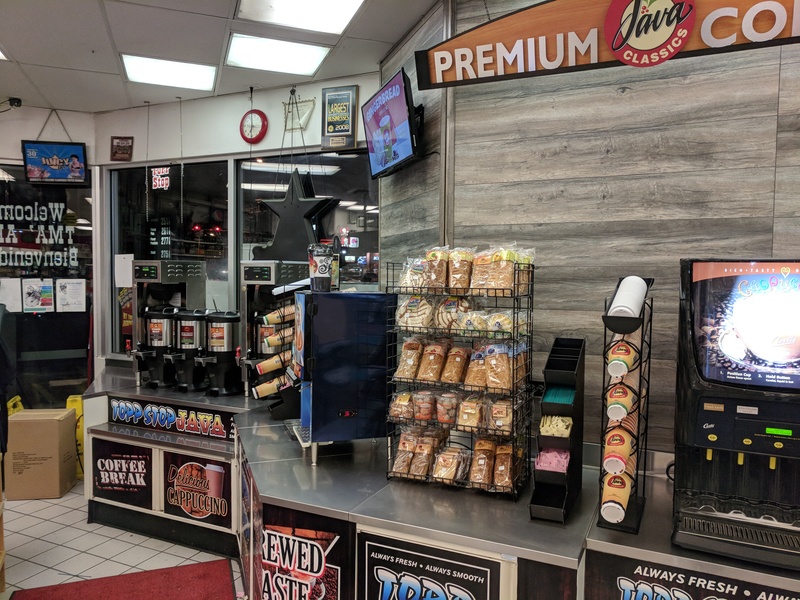 They worked with their Territory Sales Manager, Adam Roll, Foodservice Sales Developer, James Caldwell, and Java Tech, Jeremiah Pavel, to reset their coffee program. Harbor’s Marketing and Graphics department were also able to help create graphics to make their coffee set stand out. The eye-catching branding on their coffee set helps to differentiate Topp Stopp from the competition, and customers love the change. Topp Stop is a unique store, as they are located on the Yakima Indian Reservation with five other gas stations on their block, and a Safeway next door. They have separated themselves with competitive prices and a great staff that provides exceptional service. Their service keeps customers coming back, as well as their product selection, deli program and coffee set making their store a destination. Thank you Topp Stopp for being a loyal Harbor customer!